Celebrate your special day with a memorable tasty treat! 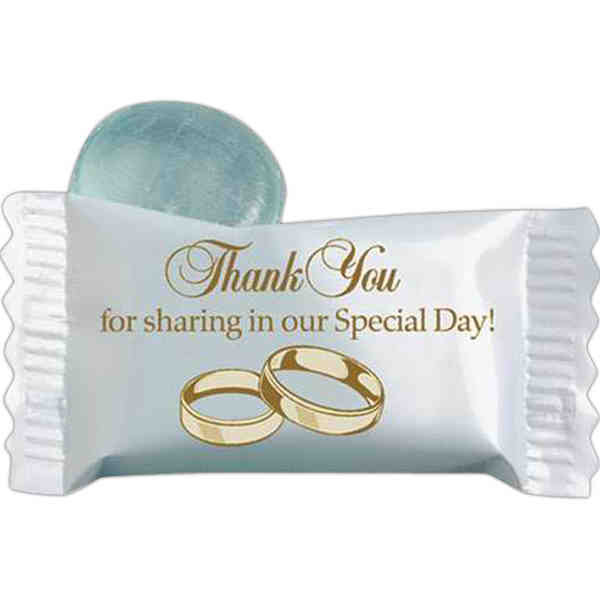 Individually wrapped and melt-proof, these red striped peppermint candies feature a wedding design on the wrapper thanking your guests for sharing in your big day. These tasty and useful favors will add a little sweetness to your guests reception table and later into their purse or pockets. Just like your marriage, these are sure to leave a lasting impression! Priced per case of 1000.